Aquaman Design have been working with Wilson Sherriff for many years now and this is the second incarnation of their website. The previous site was built using Joomla, but the client expressed an interest in moving to WordPress. The project required us to redesign the site and transfer content over to the WordPress installation. 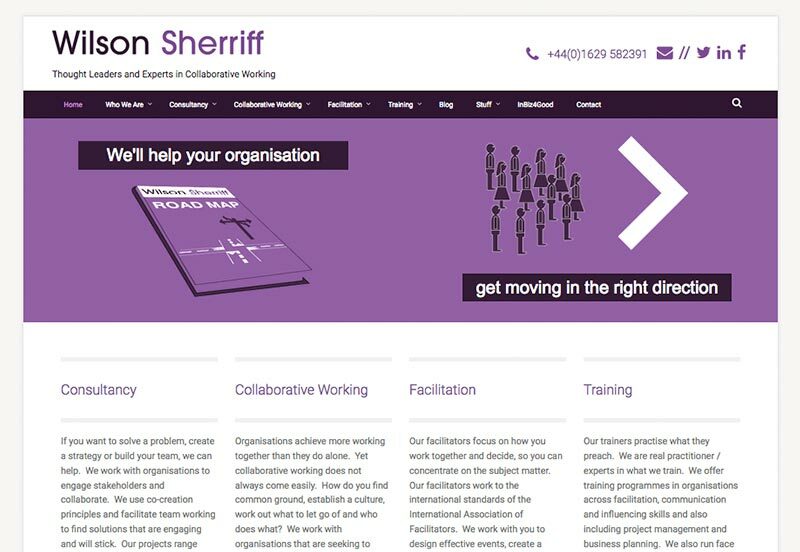 The site has now been handed over to Wilson Sherriff, who incidentally are a consultancy firm working with large organisations to facilitate team building and collaborative working. Featured on the home page is an animation. This is a series of small images animated together using a slider plugin. Using small images means we could keep the size of the slides down to a minimum, ensuring the page still loads fast – page load speed is one of the factors in Google’s algorithms.